In 1846, a newspaperman joins an Oregon Trail wagon train to verify rumors about the U.S. government sending troops disguised as settlers there in order to claim Oregon. 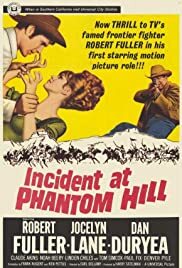 When hired killer John Gant rides into Lordsburg, the town's folk become paranoid as each leading citizen has enemies capable of using the services of a professional killer for personal revenge. A million dollars in gold waits for 2 desperate men and a blonde wildcat ! Joe Barlow: Anyone ever tell you that you got a mean and suspicious nature? Joe Barlow: And no sense of justice, either. Matt Martin: None at all! Q: Why isn't this film released for region 1? The United States of America wants this film.